Most people know Jeff Deyo from his time in Sonicflood. 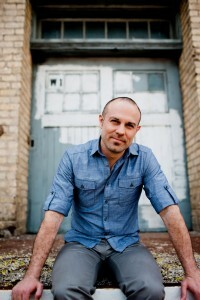 During Deyo’s tenure as lead singer, Sonicflood had several #1 hits in Christian radio. Deyo left the band after one record to become a solo recording artist. 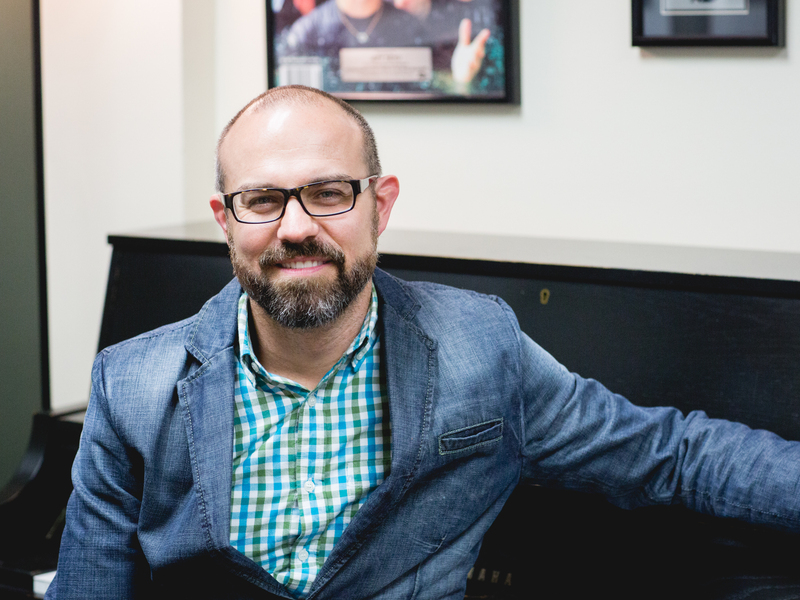 He currently is on staff at North Central University in Minneapolis, Minnesota as a Worship Arts Specialist and is also the President of the Pure Worship Institute. NCU Worship Live just released a new record entitled: Hearts on Fire. Gabe: How has the industry changed since the days of Sonicflood? Jeff: It has changed a lot!!! When we recorded the first Sonicflood CD there was no such thing as consumer burning or copying CDs. There were no internet downloads for music sales, etc. We were also still making cassettes! People usually bought 2-3 copies of their favorite CDs so they could have 1 for the car and 1 for the house or one for the parents and one for the kids. Record companies were very different too. Though it was still hard to get signed, it was an achievable goal if you worked hard and built relationships – mainly because the industry was healthier then. Legal purchasing of music is way down, and record companies are having to regroup to try to make money. One example of this is the budgets for CDs. It used to be very common for record companies to spend $100,000-200,000 to make 1 CD, but now budgets are somewhere around $20,000-30,000. This is partially because the technology has increased, and we don’t have to spend as much to make great sound recordings – but it is also because there is not as much money being made. Record contracts have changed a lot more as well – they are now even more in favor of the record companies than ever before – they now have deals called 360 deals. This means that the record company takes a percentage from every part of the artist’s income, including touring and merchandise sales. This used to never be the case. The Christian music industry has always masqueraded as a ministry, even though it has always been more of a business – and this is even more true now – in some ways. I’d say the divide has gotten wider – more artists are blatantly in it for the money and fame, but more artists are also sincere and in it for ministry – rather than being more lukewarm as it was in the past. There are also more artists who are Christians who have “secular” or mainstream record deals. They don’t necessarily sing Christian lyrics, but behind the scenes, they appear to be sincere Christians with a desire to build the Kingdom. Gabe: Do you feel like there’s anything generally lacking from the worship music that is produced today? If so, what? Jeff: I think the biggest complaint about worship music today is that it seems shallow spiritually, is very repetitive and, deals way too much with our needs rather than simply exalting God. I think some of these things are true, but not all. I don’t typically agree that the music is shallow. Most modern worship songs are chock full of scripture, but because they don’t use words like Thee and Thou, we tend to think they are less scriptural or more shallow. I do feel many more songs are “me” focused, and less about simply giving glory and honor to God. These songs aren’t bad, but the main point of worship is building direct relationship with God, and we can’t do that if we’re always focused on our needs, shortcomings, and sinfulness – we should address these things, but should keep the focus on exalting Jesus – when we exalt Jesus, these other things take care of themselves. As far as repetitiveness, I do we feel we do this more, and I believe it is a good thing. Sometimes we don’t really mean what we’re saying until the 100th time. How do we learn our multiplication tables? Repetition. I suppose one other complaint is how so much worship music sounds the same, but even though I’d like for us to be more creative, creativity alone doesn’t win the day – authenticity, and anointing are king. Gabe: What’s the Pure Worship Institute about? Jeff: PWI is a ministry to musicians and singers of all ages that equips them to better serve the Kingdom by helping them grow practically and spiritually in their areas or giftedness. Many musicians get burned out, because there is such a high premium on their gift. There is so much demand, and they long to use their gift, so they give and give and give until they are “burned out”. So many are walking around with great talents, helping others know God, while they themselves are hanging by a thread, morally, spiritually, and in may other ways. We want to help musicians break this typical habit by learning to truly seek God first, and by learning that ALL MINISTRY flows out of a deepening walk with Christ. When they are continuing filled up with God, they can minister out of the overflow instead of out of the emptiness. We also have many professionals come to PWI to help train them in their particular area, whether that be songwriting, drums, singing, engineering, etc. God has given each of us gifts, and we are responsible to be good stewards of all he gives us – so we must continuously be learning and growing, allowing the Spirit to guide us into greater and greater usefulness for his Kingdom. As we give our gifts to him through practice, we will reap more and more ability through his power! And all of this creates a healthy creative type, who is listening to the Lord’s voice and obeying, growing in their area of giftedness, and ready for any type of instructions from the Lord! Gabe: How do you like being able to invest in young people at North Central University? Jeff: Being at NUC is awesome! It is also very challenging. Investing in young people has incredible rewards but it also has it many difficulties. I’ve realized it takes time to impact the culture at NCU, but after 5 years, I am seeing incredible changes in our worship culture as students learn to seek the Lord on their own – to not rely on other leaders’ walk with God, but to pursue a personal walk of their own. I love teaching my classes too. Over time, I am seeing incredible improvement, and there isn’t much better than seeing someone “get it” as they begin to apply the information you’ve taught them in practical ways. It is so incredible what God will do through us! I know his calling for us all is to pour into the next generation in many different ways. I’m thankful that my job is to do this! I am multiplying all that God has done in me in these students, and I know that they will leave NCU changed and ready to impact their world for Christ. It gives me great joy to be a small part of that! This entry was posted in art, Christianity, Music, worship and tagged CCM, jeff deyo, sonicflood. Bookmark the permalink.